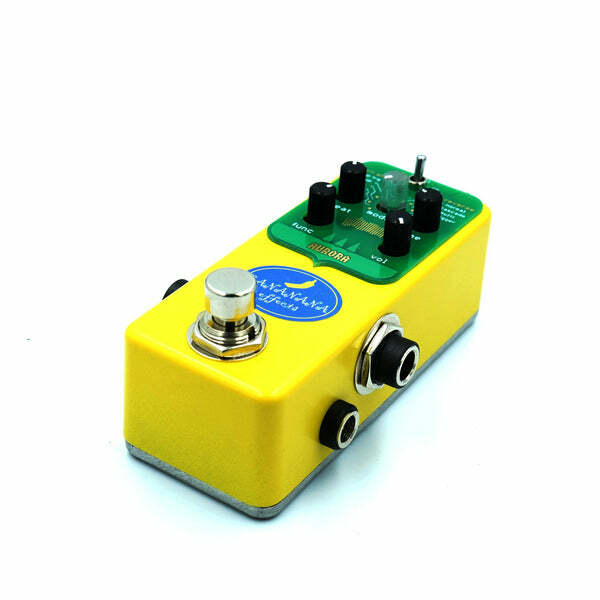 A delay pedal with eight modes, allowing flexible control over pitch, speed, and playback direction. 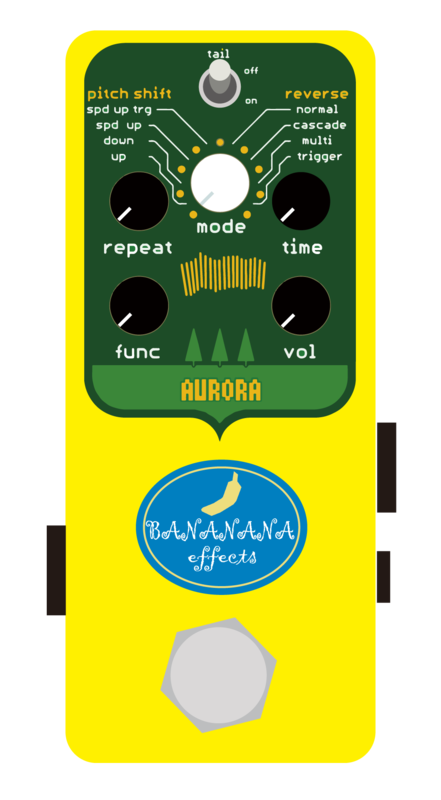 With features such as chromatic pitch shift delay, delay at 2x and 4x speed, reverse delay at ½x, 1x and 2x speed, and 2x speed trigger delay that automatically samples and loops your previous phrase when triggered by a break in the input sound, this delay pedal will enable you to create experimental and radical sounds. This delay increases the pitch on each repeat. The pitch shift can be set chromatically between +1 to +12. Each time the pitch setting changes, the “Mode” knob flashes green. (It flashes white at the fifth and octave intervals only). This delay decreases the pitch on each repeat. The pitch shift can be set chromatically between -1 to -12. A delay that replays sampled sound at a multiple of the original speed. Playback speed can be selected from 2x and 4x. With the time set to 0, it can also be used like a pitch shifter. Automatically samples and loops the previous phrase when triggered by a break in the input sound. A delay that plays back a sampled sound in reverse. Playback speed can be selected from ½x 1x and 2x. 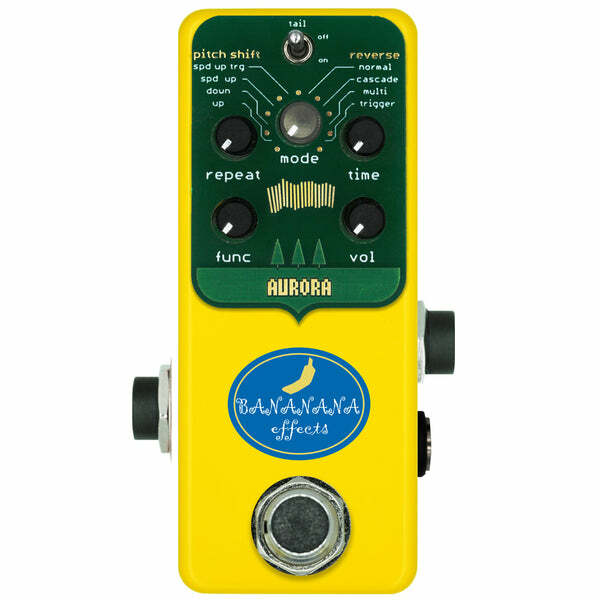 A delay that reverses the playback direction of the sampled sound each time it feeds back into the pedal. The sample is played back at 1/2x, 1x and 2x speed simultaneously. The balance of 1/2x & 2x sampled sound can be controlled using the “Func” knob. Automatically samples and loops the previous phrase in reverse when triggered by a break in the input sound. Selects keeping the tail when the pedal is bypassed or not. By press & hold foot switch < 2sec then release, you can toggle dry through or cut.